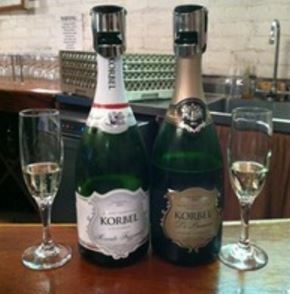 All tours are self-driven, except the Korbel tour. Carpooling is encouraged to provide you a great opportunity to meet other modelers, and conversations in the car on the way to visit layouts frequently result in lasting friendships. $25.00, includes bus transportation, departing from hotel at 10:00 AM, returning about 2:00 PM. Korbel Winery is a historic location and a fascinating story. The Korbel brothers came west for the California Gold Rush. They stayed in San Francisco and started various businesses, as well as purchasing land in Sonoma County for a lumber business. The lumber justified a lumber mill, which required a railroad spur. 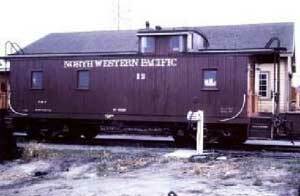 The NWP railroad brought in a siding, which was a reason for a train station. If you’ve been reading about our 2018 Convention in Sonoma County, you will begin to see how all our tours fit together and how we came up with the name Enduring Rails. In the late 1800s, lumber mills moved around to follow wherever trees were plentiful. The Sturgeon's Mill is no exception. Yes, it started as Korbel Lumber. It was then moved north close to the Oregon border and then back to within ten miles of where it started, just a twenty-minute drive from our convention hotel. 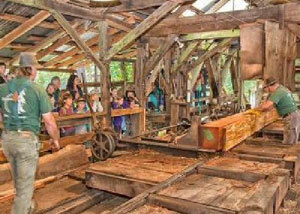 When you visit Sturgeon's Mill and see its size, you’ll have trouble believing it moved at all. Sturgeon's Mill is both a fantastic site and sight. It is probably one of the only steam lumber mills in the world still operating. They are going to operate it exclusively for our convention, as well as promising to have operators ready to answer all our questions. Typically they are only open six days a year to the public, with almost a 1,000 visitors on each of those days. So you can see what a unique opportunity this is for us to see the sawmill activity up close and personal. The docent-led tour takes about 45 minutes. It is OK to stay until about 2:00 PM. Sturgeon's Mill is located at 2150 Green Hill Road, Sebastapol. Click here for driving instructions. Be sure to arrive before 11:00 AM so you don't miss any of the activities. If you snooze, you lose! The Northwestern Pacific Railroad Historical Society, our partner in this convention, will have their restoration yard open for us to visit. They have a recently-completed caboose and a couple of passenger cars under restoration. Like Sturgeon's Mill, they promise to have volunteers ready to show us around and answer questions. It is effortless to spend an afternoon just poking around this site. If you have an interest in the NWP, we recommend a visit to the equipment restoration yard. This is a self-driving tour. There will be a sign-up sheet near the Registration Desk for those interested in carpooling. Due to heightened security reasons, the SMART Board decided to cancel all public tours of the facilities. Refunds for the cancelled tour will be available at the Registration Desk when picking up registration packets. You can sign up for these tours while registering for the convention or add them to your existing registration by going to the Company Store webpage and buying your ticket. For further information, please contact Enduring Rails 2018 Prototype Tours Chairman David Grundman at er2018layouts@pcrnmra.org.